The 54-year-old actor suffered a myocardial infarction in July. Michael Clarke Duncan, the hulking, prolific character actor whose dozens of films included an Oscar-nominated performance as a death row inmate in "The Green Mile" and such other box office hits as "Armageddon," ''Planet of the Apes" and "Kung Fu Panda," is dead at age 54. Clarke died Monday morning at Cedars-Sinai Medical Center in Los Angeles, where he was being treated for a heart attack, said his fiancée, reality TV personality Rev. Omarosa Manigault, in a statement released by publicist Joy Fehily. The muscular, 6-foot-4 Duncan, a former bodyguard who turned to acting in his 30s, "suffered a myocardial infarction on July 13 and never fully recovered," the statement said. "Manigault is grateful for all of your prayers and asks for privacy at this time. Celebrations of his life, both private and public, will be announced at a later date." In the spring of 2012, Clarke had appeared in a video for PETA, the animal rights organization, in which he spoke of how much better he felt since becoming a vegetarian three years earlier. 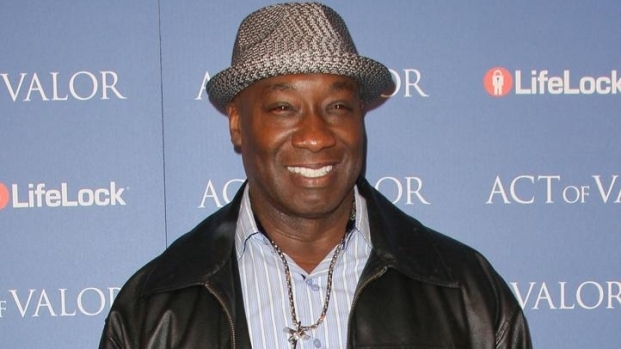 Michael Clarke Duncan tells the story of when he first hit on Omarosa Manigault Stallworth where he ended up offending her and how he bounced back. Afterward Billy Bush and Kit Hoover wrestle with Michael at the same time. "I cleared out my refrigerator, about $5,000 worth of meat," he said. "I'm a lot healthier than I was when I was eating meat." Duncan had a handful of minor roles before "The Green Mile" brought him an Academy Award nomination for best supporting actor. The 1999 film, based on the Stephen King novel of the same name, starred Tom Hanks as a corrections officer at a penitentiary in the 1930s. Duncan played John Coffey, a convicted murderer with a surprisingly gentle demeanor and extraordinary healing powers. Hanks said he was "terribly saddened at the loss of Big Mike," adding that "he was the treasure we all discovered on the set of 'The Green Mile.' He was magic. He was a big love of man and his passing leaves us stunned." Frank Darabont, director of "The Green Mile," said in a statement that he was "devastated at the loss of Michael Clarke Duncan, one of the finest people I've ever had the privilege to work with or know." He also called the experience of making the film "a once-in-a-lifetime journey." "Never has an actor more richly deserved the recognition of an Academy Award nomination than Michael did for his performance as John Coffey," said Darabont. Duncan's performance caught on with critics and moviegoers and he quickly became a favorite in Hollywood, appearing in several films a year. He owed some of his good fortune to Bruce Willis, who recommended Duncan for "The Green Mile" after the two appeared together in "Armageddon." Clarke would work with Willis again in "Breakfast of Champions," ''The Whole Nine Yards" and "Sin City." His industrial-sized build was suited for everything from superhero films ("Daredevil") to comedy ("Talledega Nights," ''School for Scoundrels"). His gravelly baritone alone was good enough for several animated movies, including, "Kung Fu Panda," ''Delgo" and "Brother Bear." Among Clarke's television credits: "The Apprentice," ''The Finder," ''Two and a Half Men" and "The Suite Life of Zack and Cody." Born in Chicago in 1957, Duncan was raised by a single mother whose resistance to his playing football led to his deciding he wanted to become an actor. But when his mother became ill, he dropped out of college, Alcorn State University, and worked as a ditch digger and bouncer to support her. By his mid-20s, he was in Los Angeles, where he looked for acting parts and became a bodyguard for Will Smith, Jamie Foxx and other stars. The murder of rapper Notorious B.I.G., for whom Duncan had been hired to protect before switching assignments, led him to quit his job and pursue acting full-time. Early film and television credits, when he was usually cast as a bodyguard or bouncer, included "Bulworth," ''A Night at the Roxbury" and "The Players Club." News of his death prompted an outpouring of remembrances among celebrities on Twitter.